I have such a long standing history with sleep troubles that it is hard to know where to begin. Since I was very young I have struggled to get to sleep and actually stay asleep, I have such horrible memories of feeling trapped at sleepovers while everyone else slept like logs, or spending lots of the nights up and about having weird hallucinogenic dreams that left me shattered the next day. Fast forward 20 years and I still suffer and when I am stressed or worried it gets much worse, throw in a bad stomach that can keep me up and my quality of sleep dwindles dramatically, except now it was no longer just me it affected but poor ally having to sleep next to me. He is so used to it now and knows how to drag me back to bed or soothe my confused half-asleep self, but it is a tiring job! One of the aspects of bedtime that I found so annoying was watching Ally who can literally fall into a deep sleep within seconds ( seriously, it amazes me) and I would lie awake for really long periods of time just getting more and more annoyed. In the past I have tried a few things, meds ( not something I wanted for every day life) nice smelling sprays and candles, switching off tvs etc and even resorting to shoving crystals under my pillows! None of these were particularly effective and I had pretty much given up hope on bedtime gadgetry until a product caught my eye and I thought it was worth a stab. A bed of nails might sound a daunting prospect but this little beauty has not spent a night away from my side in those two years and I look forward to getting myself settled on it every night. 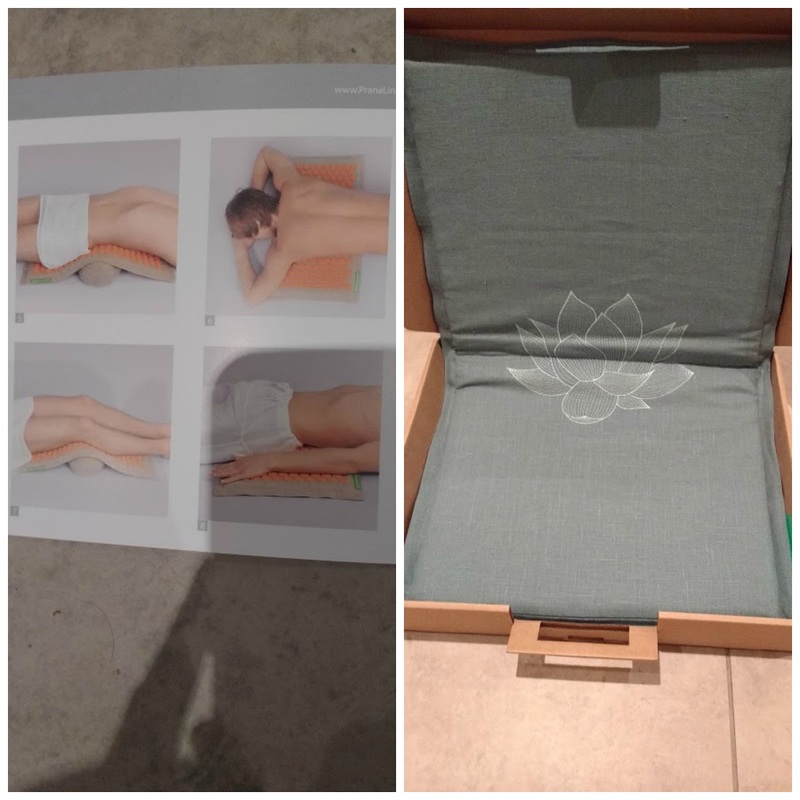 Lovingly referred to as my ‘prickles’ by Ally, this is a thin comfortable mat with lots of sharp points that hit pressure areas on your body much like acupuncture would. 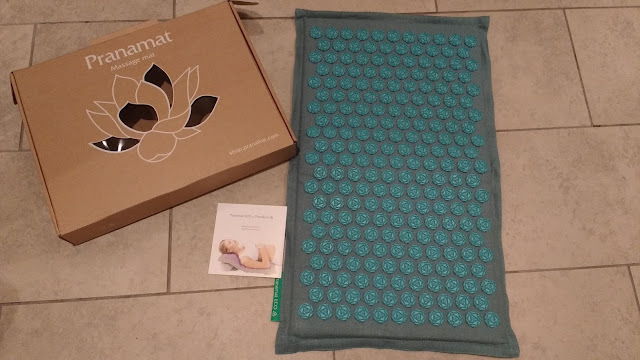 I have used a cheap version of these mats for the past two years and got on fine but when the chance to try a more robust version through Pranamat came up I just had to compare how the experience might be. Instantly you might think I am mad ( I didn't believe it could help until I tried it), but I can honestly say this little beauty has been such a fantastic addition to my night time routine and when this one arrived it meant my colleagues could finally try out what I had been harping on about! There is something fun about seeing everyone suddenly want to lie on the floor!! Instantly I could tell the Pranamat version was something special, coming in a super handy travel friendly box ( and with some gorgeous colour combinations) this baby is built to last. It is much thicker and more pressure point heavy than my old one and makes for even more relaxing experience. You can use the bed of nails in various ways ( even for performing yoga moves on!) 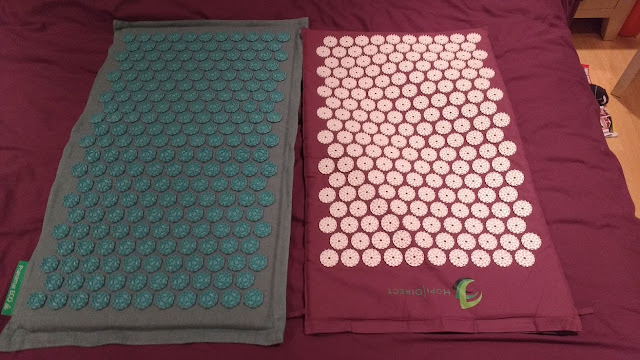 their are lots of handy how to videos on their website but I basically use mine every single night for 20 mins or so when lying in bed and it just completely calms me, you feel a bit of heat when in contact with the pressure points but it is not actually painful. I quite often will take the mat to the floor and places my legs up the wall when I really need a de-stress, and Ally is always stealing it to seek some pressure relief on his sore muscles. I love that this version is made from such durable eco-friendly material, and the extra thickness means this one is far more comfortable for lying on the floor with as their is extra padding in comparison to my cheap version. This padding actually comes in the form of coconut fibers inside which I thought was super cool and is cleverly used as it doesn't hold dust like usual foam rubber. Pranamat also do small pillow versions which i am now desperate to try in one of their other pretty colour ways and offer a fab 5 year guarantee and worldwide shipping. I could instantly tell the difference with this version of a bed of nails, and turns out it really is superior not just from looks but to the user experience too. 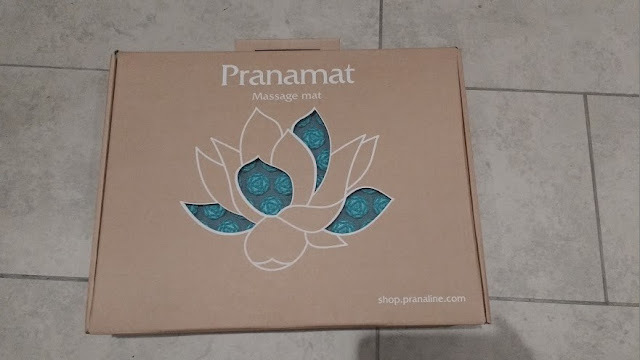 I am absolutely thrilled with my Pranamat and think it is well worth checking our their products if you are looking for something to help with sleeping or just a way to help relax.